Christmas is on its way and now is the time to get ready for any Christmas Parties that you are having or going to. Whether you are looking for Office Christmas Parties or Christmas Party Ideas we have lots of typical Christmas Decoration Cutouts, Santa Hats, Christmas Hats and Christmas Party Accessories all perfect for a fantastic Christmas. There are also Stocking Fillers to keep everyone happy. We would love to hear about how your plans are going. Christmas will soon be upon us although it has already started for us here. This time of year is busy and buzzing for us sending out loads of Christmas orders ready for the office party season. One of our biggest sellers is Santa Hats and we have lots to choose from. Our range includes traditional Red Felt, Red Velour and a Plush Santa Hat with Fur Trim as well as Branded Santa Hats and even Pink Shimmer Santa Hats for something a bit different. Party Poppers are also a popular choice as are Christmas Crackers which are distinctive of the occasion, great fun and the perfect ice breaker at the Christmas Office Party. Select from a Silver & White Snowflake Cracker, a Green & Red Swirl, Gold Damask, Plain Silver & Gold or a Luxury Silver Snowflake or Gold Swirl Cracker all with great contents. Christmas Party Products are here in abundance and all fantastic for Christmas Parties, whether corporate or at home and add to the mood of the Festive Season. Christmas Party Packs are always popular and make shopping simple. We have various sizes available suitable for a large or small party which include a Party Pack for 10 people as well as a Home Party Pack for 50 people or the Office Party Pack for up to 100 people. Our individual Party Box makes an impression and is enjoyable for your guests to have. 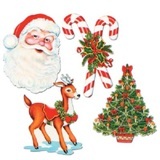 Christmas Decorations are always special and we have an amazing variety, some of which are Glittered Christmas Bell Signs, Santa Face Danglers, Christmas Cutouts and a Jointed Santa as well as Happy Santa Christmas Bunting. Christmas Banners really stand out and are very welcoming, good options are a Merry Christmas Fringed Banner or a Foil Seasons Greetings Banner. A Christmas Party would not be complete without a Santa and our Santa Costume is the ideal accessory. We have an impressive array of Christmas Fancy Dress for Adults including an Elf Costume, a Christmas Pudding and a Snowman and Children’s Costumes such as an Elf and Santa Girl which are all great and really add to the atmosphere of Christmas. Now is the time to get ready for Christmas as well as take advantage of our delivery options. Once you are organised all you have to do is enjoy the Festive Season.